I was recently asked to make a recipe using Rhodes Bake and Serve Rolls. We flipped through recipe books, talked about ideas and in the end we settled on breakfast. A filling meal that can be made in advance and heated up on those busy mornings when we have lots to do. They turned out better than I expected and made such a great breakfast we have already made them 2 more times. 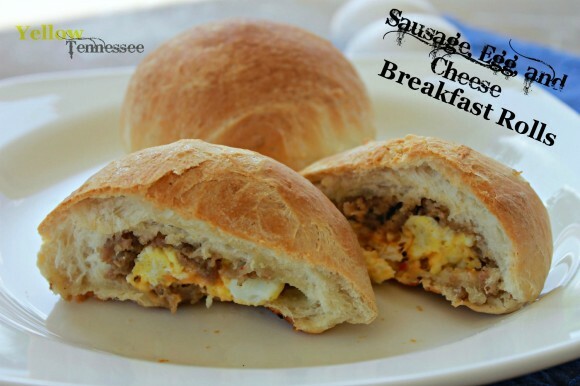 Be sure to stop by my Rhodes Guest Blogger Post for the full recipe of these amazing Sausage, Egg and Cheese Breakfast Rolls.